One of three persons killed in St. James between January 4 and 8 remains unidentified with the Area One police advising that they are still carrying out investigations as they try to ascertain the circumstances surrounding the shooting deaths. 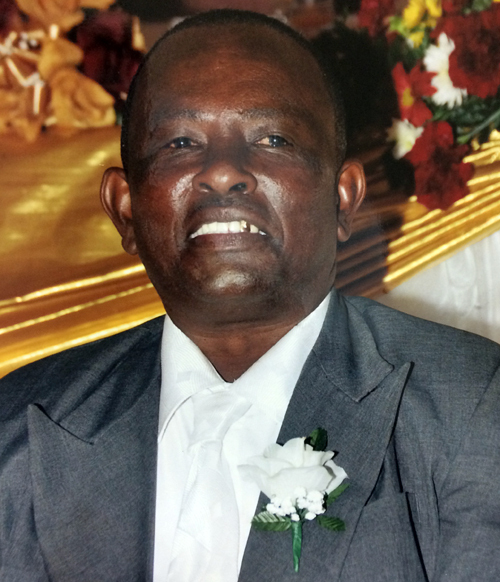 A popular and longstanding welder in Montego Bay, along with a taxi operator, were among the three killed, gunned down on Saturday afternoon (January 6) at his business place. The other two were murdered along Creek Street and in Sam Sharpe Square in downtown MoBay. The welder has been identified as 66-year-old Donald Tulloch, of Pimento Drive, Montego Hills in St. James, while the taxi man has been identified as 45-year-old O’Brian O’Connor, also called ‘Dave’, of a Flanker address.A man from Rose Heights was also wounded in the shooting. It’s reported that about 3 p.m. on Saturday, while sections of Montego Bay and the island were being pummeled by rain, Tulloch was at his place of business along the Salt Spring Main Road with other workers when two masked men pounced on them. The men were robbed of their monies and cell phones by the armed thugs. The Western Mirror understands, however, that Tulloch, who had been at that location for many years, resisted and was shot in the head. He was pronounced dead on arrival at the Cornwall Regional Hospital. The men reportedly escaped on foot in the area with an undetermined amount of cash. In the meantime, Sam Sharpe Square, popularly known as ‘Parade’, was the scene of a deadly attack which left a taxi operator dead. O’Connor of Flanker was shot and killed by unknown assailants, while a 35-year-old man, who was standing beside him at the time of the shooting, was also shot and seriously wounded. According to information obtained by the police, just after 1:30 a.m. on Monday, O’Connor was among a group of taxi operators looking for passengers in ‘Parade’, when two men approached. The men carrying hand guns opened fire, hitting O’Connor all over his body. The hoodlums made their escape from the area before police arrived. Police indicate that they have since beefed up their presence in and around Sam Sharpe Square. O’Connor’s killing is the third to take place within a metre mark in the square over the last two weeks. In the last week of December, two men were gunned down in that same area by unknown assailants. Elsewhere, the man killed on Creek Street on the outskirts of Montego Bay remained unidentified at presstime. He was shot and killed on January 4 shortly after 5 p.m.
Reports from police are that the deceased was among a group of men standings at the entrance of a business establishment on the busy thoroughfare when a white station Wagon motorcar drove up and two men alighted. The men walked up to the deceased and opened fire at him. He died at the scene. Fifteen 9MM spent shells were taken from the scene by detectives.